Families that are traveling on a budget yet looking to get a goodnight’s sleep at an affordable rate. Families that have little kids that cannot be made to sleep in a separate room. A travelers group of four adults. The rooms are furnished with modern amenities, including TV, complimentary Wi-fi, and more. 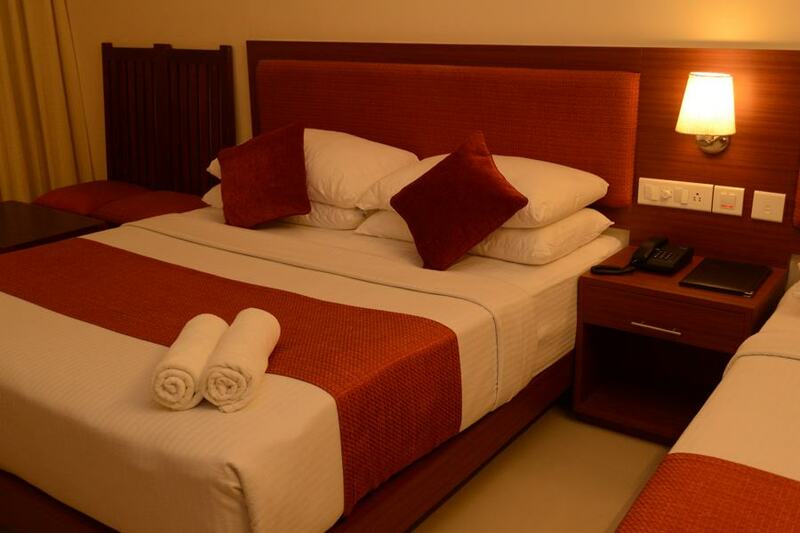 Enjoy the cozy and comfy interiors that are sure to make your stay memorable. Facilities include en-suite bathroom, complimentary toiletries, safety locker, laundry service, etc. Looking for cheap hotels in Kanyakumari? Call us for enquiries….